Happy October, folks. I wanna make this the best damn month of comics that I have ever done. A’ight, brah? 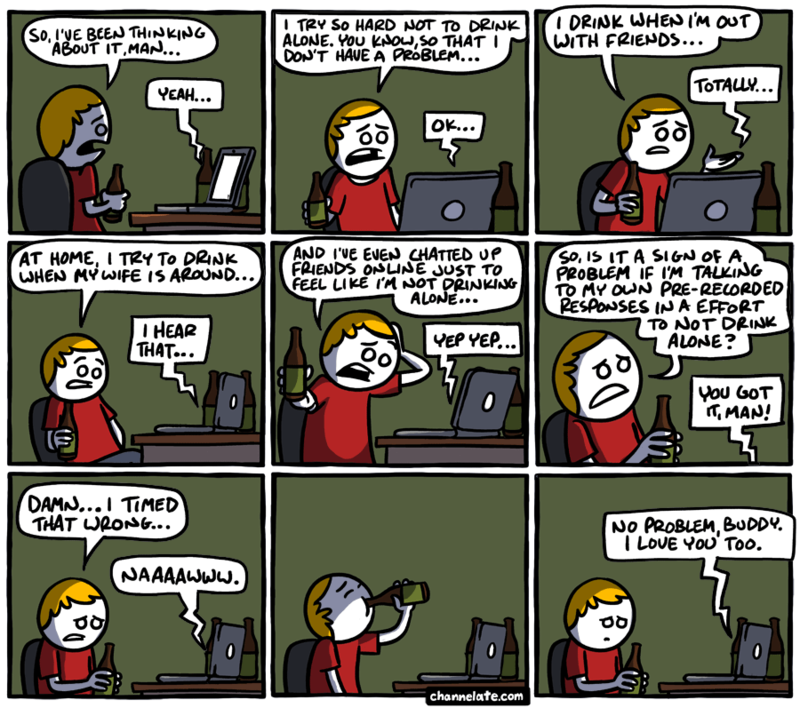 I’ve never understood people’s issue with drinking alone… You’re not alone! You’ve got sam, jose, jack, and jim with you! And maybe even a captain… how exotic. This is a good idea. I need to set this up for myself… right after I finish this here cider. r3qkRn I think this is a real great article post.Really thank you! Keep writing. fNVWip My brother recommended I might like this web site. He was entirely right. This post actually made my day. You can not imagine simply how much time I had spent for this information! Thanks! r1mEs4 Some really good information, Sword lily I discovered this. What you do speaks therefore loudly that i cannot hear that which you say. by Ron Waldo Emerson.